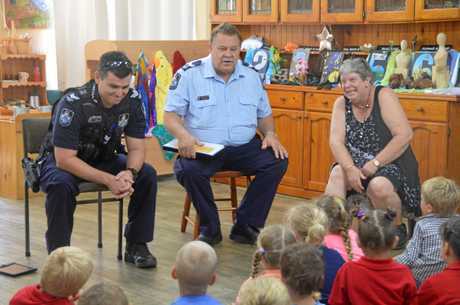 THERE is a new man in the life of Kingaroy's youngest learners with St John's kindergarten befriending Kingaroy police senior sergeant Rhys Everitt. Kindergarten service leader and teacher Jenny Christensen said they were proud to welcome Sen. Const. Everitt as part of the Adopt-a-Cop program. 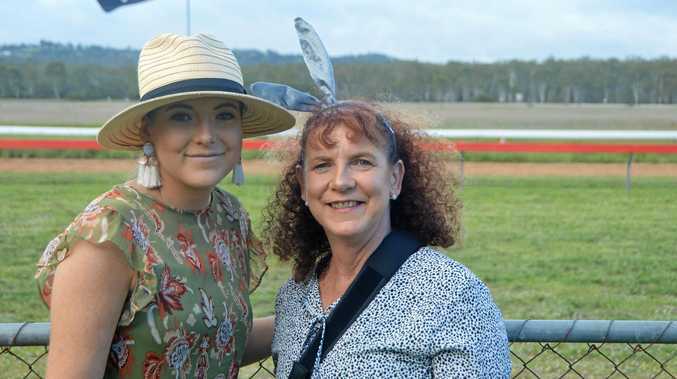 "He is going to bring in his police car, blast the sirens and come with us on excursions, he will be involved as much as he can,” she said. When Ms Christensen first asked the kids the role police play in the community they said 'lock up bad people.' She was looking forward to them discovering the different roles they play. 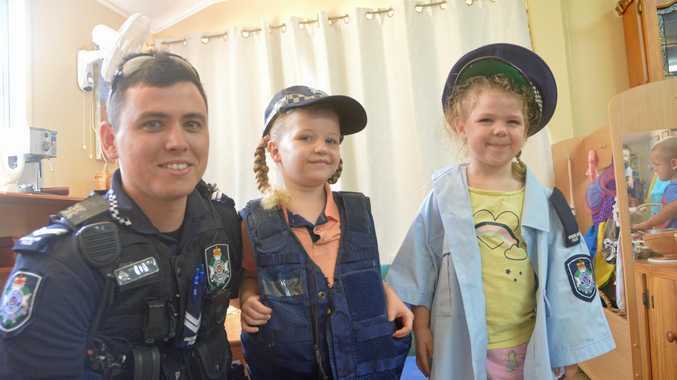 Educating the kids that police are in the community to help and protect them is a top priority according to Senior Constable Dan O'Hara who is the crime prevention co-ordinator for the Dalby-Burnett district. 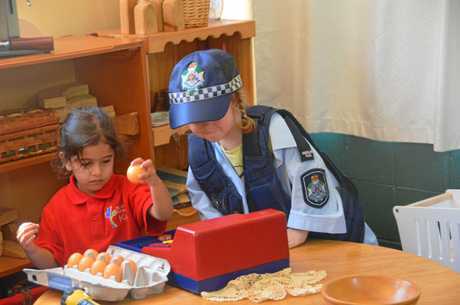 "It is very important we begin to get children to feel safe in the company of police,” he said. "In particular we want to try and foster their trust from a young age. Sen. Const. O'Hara said it was important to explain that police look after them when they are lost and if the police do attend their home they don't feel frightened or threatened. "If they are lost or if they have something going wrong in their life and they need to speak to the police they need to feel safe and confident,” he said.